Enjoy 2 free pillows compliments of the Sleep Sheep worth $150. May not be combined with other offers. Some items may be excluded. Includes 2 free pillows. Available when you refer friends. Buy a NECTAR mattress and get a referral link that you can share with your friends. When your friend uses the link, he/she immediately gets $100 off the purchase. After that, you will get a Thank You of $100. Promo code is valid for a limited time. No minimum is needed. Offer is limited by time. Offer includes 2 Free pillows. Valid when you pay with your Visa card. The coupon code includes free shipping. Working hard all day, what do we need at the end of it? Right, good sleep that we deserved. Buy a comfortable mattress and don't spend extra money by getting a pleasant discount through codes. Click on “Show Coupon Code” button and when it appears in the next window find “Copy” sign and click on it. 2. At the middle of the main page press “The mattress” button. 3. Pick the size of the mattress that you need and press “Add to cart” button. That moves you to your shopping cart page. On the right side of it you need to find a sign “Have a promo code?” and click on it. Paste the copied code into the appeared line with a slight inscription “Coupon”. Click “Apply” button. 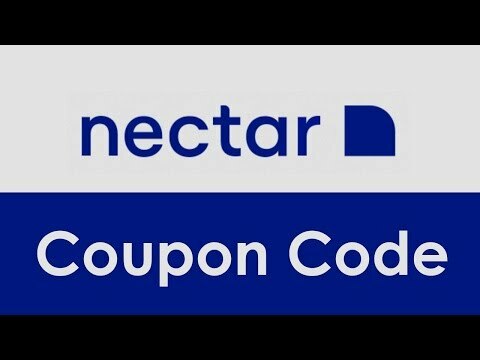 Nectar is a company popular for designing the most comfortable mattresses ever. The company is dedicated to providing customers with quality mattresses made from Certipur memory foam, which is eco-friendly and better for your sleep. Nectar offers lots of test beds available for a 365 day period of sleep trial. Enjoy free shipping on all orders and a lifetime warranty! Amazing isn't it? Nectar's mattresses are unmatched in quality, comfort & support. The company's mission is to provide customers with the most comfortable mattresses, ensuring a perfect & delightful sleep. Visit Nectar online store now to get a test bed for sleep trials. Sweet dreams.